CEA Golf Outing August 1st! 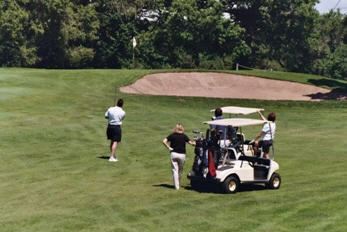 The 2008 Chicago Elevator Association Annual Golf Outing will be held on Friday August 1st at 1:00 pm, shotgun start. The event will be held at the Gleneagles Country Club at 13070 McCarthy Road in LeMont, IL 60439. Phone Number: 630-257-5466. The cost for this years event is $135.00 per golfer for CEA Members (165.00 – non CEA Members) and late additions after 7/28/08. 18 Holes of Golf, Golf Car Rental, Half Way House Tickets, Dinner and Prizes! All attendees must be paid before attending unless prior arrangements are made! If you are interested in sponsoring a hole or making some other type of donation please contact Tom at 708-371-2444 or click the link below! We look forward to seeing you on August 1st for a great time!